Learn Surfing and get Surf Lessons Adelaide. 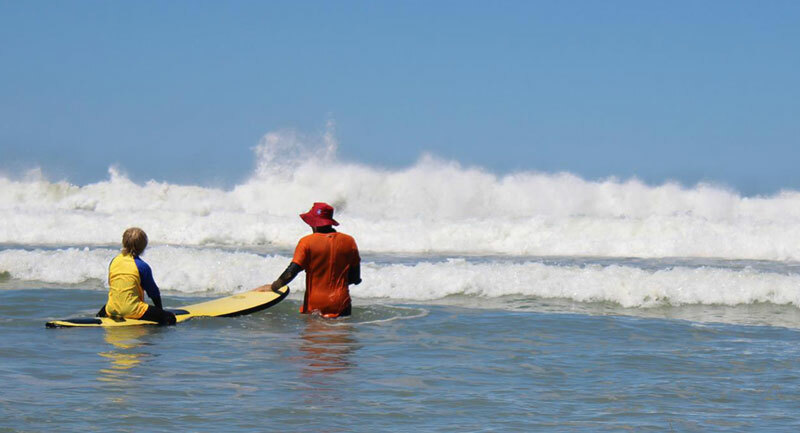 Learn to surf with Ocean Living Surf School at Goolwa Beach, Adelaide, South Australia. Professional surf lessons in Goolwa. Surfing lessons at Fleurieu Peninsula. Accredited with the Academy of Surfing Institute (ASI) - recognized throughout the world. Private surf lessons; team building; surfing awareness lessons for kids, adults, parties, school groups, women only, corporate and community groups. Enjoy a great learning experience with the latest gear and techniques with all equipment provided. Accommodation packages are available in a modern two storey home just walking distance to the beach at Goolwa. Ocean Living Surf School offers group and private surf lessons; team building; surfing awareness lessons for kids, adults, parties, school groups, women only, corporate and community groups. Beginners, Intermediate and Advanced. Proprietor Philip Ball and his instructors provide a great learning experience with the latest gear and techniques with all equipment provided (surfboard, wetsuits, sun block). We also incorporate safety and ocean awareness into all lessons, all of which is designed to get you surfing and improving and above all having fun. Accommodation packages are available in a modern two storey home just walking distance to the beach at Goolwa. Staying overnight gives you the opportunity to explore the township of Goolwa with the excellent wining and dining of the Fleurieu Peninsula and surf lessons on the beach (subject to availability).